I don’t know if you have noticed but there are a number of frozen yoghurt places popping up as an alternative to gelato and ice cream places. The frozen yoghurt is a far cry from what I used to make with our Easiyo yoghurt maker, instead of being icy it is very creamy and comes in a number of great flavours. My favourite frozen yoghurt place (of the two I have tried so far) is Wowcow in Darlinghurt. They always have a great range of yoghurt flavours including chocolate, mango and coffee and a number of great toppings. Its also a great location to watch the world go by and is surrounded by the number of great restaurants to have dinner before dessert. 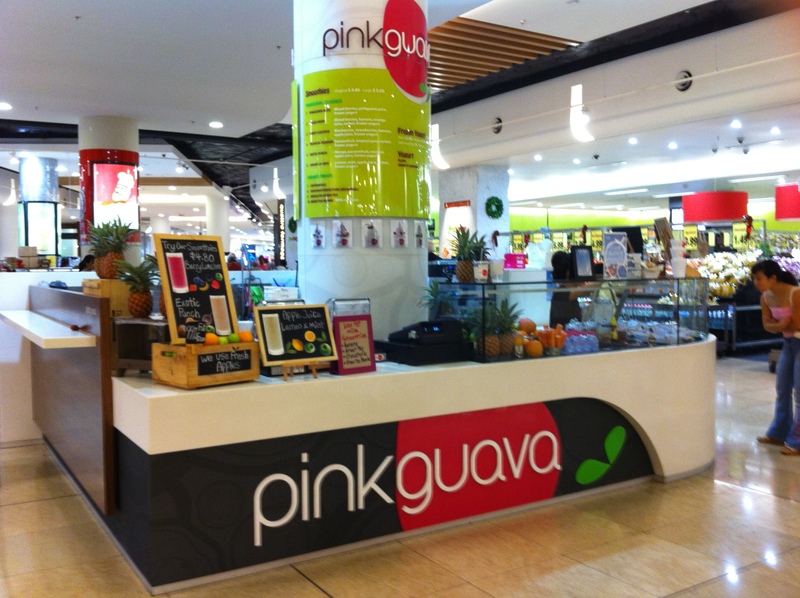 I have also recently discovered Pink Guava in Chatswood Chase. 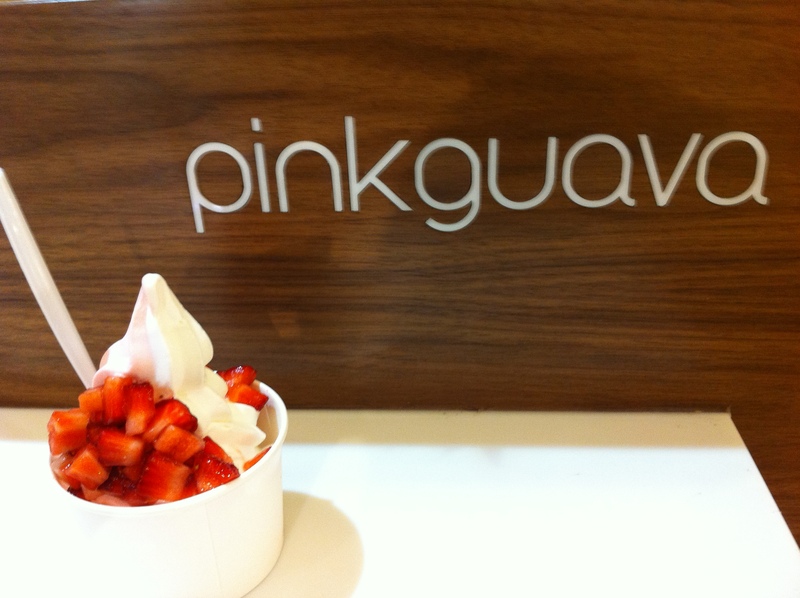 This frozen yoghurt place has two flavours of frozen yoghurt: pink guava and vanilla. I always get a mix of both and generally get some sort of fruit topping. This yoghurt is also nice and creamy, the only thing that is letting the place down is the lack of frozen yoghurt flavours and toppings. Have you jumped on the frozen yoghurt train or are you sticking to gelato and icecream?